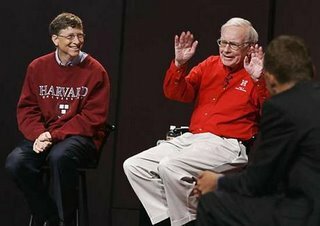 Over the weekend the world’s second richest man, Warren Buffett, announced that he was donating a large portion of his overall wealth to the Bill and Melinda Gates Foundation. Buffett plans to give away 85 percent of his fortune, or about $37.4 billion, all in Berkshire stock. Of that amount, he will channel the greatest share, about $31 billion, into the Gates Foundation. The other four charities that Buffett will divide about $6 billion in Berkshire stock among are the Susan Thompson Buffett Foundation; the Howard G. Buffett Foundation; the Susan A. Buffett Foundation; and the NoVo Foundation – supporting a variety of causes from abortion rights, anti-nuclear proliferation to conservational issues. The Gates Foundation is already the United States’ largest grant-making foundation, with current assets of almost $30 billion. Buffett’s contribution will not be made all at once, but rather in 5 percent annual increments. Moreover, the terms of the donation also require the continued active participation of at least one of the Gates for the payments to continue. Buffett’s massive contribution may permanently solidify that philanthropy’s standing as the biggest and most influential organization of its kind. The second-largest charitable foundation in the country is the Ford Foundation, with an endowment of $11.6 billion. $12bn annual budget of the United Nations. $35 billion annual defense budget of Germany. Football is the Mantra on the Indian Sub Continent this Season !! 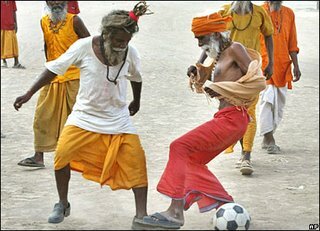 Domestic football in India is far more popular than domestic cricket, and many teams in the country’s National Football League trace their origins back to the 1880s, when the game was introduced by British colonials. Indeed, league football was being played in Calcutta long before Real Madrid or the world governing body Fifa even existed. The country qualified regularly for the Olympics until the 1960s, and were invited to the 1950 World Cup in Brazil but the problems of a long sea journey and the fact that they still played in bare feet prevented them from appearing. India is currently ranked a disheartening 143rd in the world. Englishman Steven Constantine, who coaches the national team, identifies the problem as a lack of a proper grass-roots infrastructure. “You see kids playing football in the street with no shoes everywhere in this country but there’s no development at youth level. On a brighter note, private football associations like the Indian Youth Soccer Association are keenly developing talent from the streets in an attempt to lift the sagging fortunes of the game in India. Each week nearly 20 Delhi street children aged eight to 13 – orphans or runaways – gather to play and learn the basics on the lawns at India Gate, an archway in the centre of the city that commemorates Indian soldiers who died in World War I. They are being taught shooting, passing and dribbling. “We are planning to start a league for these street children as has been done in Brazil and Argentina because we feel there will be a huge talent among them,” professed the secretary of the association, Mr Arup Das to the BBC. 8.4 million are refugees who have fled their countries due to civil wars and ethnic, tribal and religious violence and who cannot return home. Fifty years after the adoption of the UN Convention on Refugees, the decade we live in has seen more of the world’s people than ever before seeking refuge from war, persecution or disaster. This special report tells the stories behind the statistics, using first-person testimonies and in-depth interviews to trace the journey from home into exile. 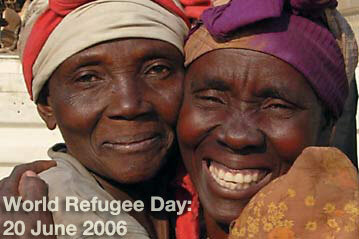 It asks why refugees are still fleeing, where they go, and examines how we treat them. 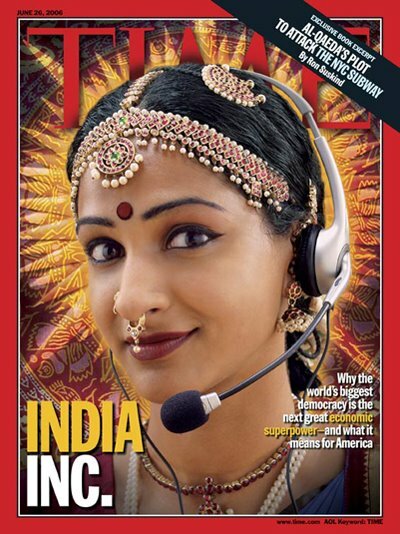 Time Cover June 26, 2006: INDIA INC.
Hooray for Bollywood (World / India Inc.) With Americans embracing our culture, can Indians like me keep it real? Nacho Libre – "The childrens need you Nacho … "
‘Nacho Libre’ is based on the true story of Fray Tormenta, a.k.a. Father Sergio Gutierrez Benitez. A Catholic Father, Benitez founded a Mexican orphanage, and funded it for over 20 years by wrestling in the Lucha Libre world.